The Yungdrung Bön monastery of Tarde Miyo Samten Bön Ling is located in Derge County near the Yangtze River in the Kham region of Tibet. 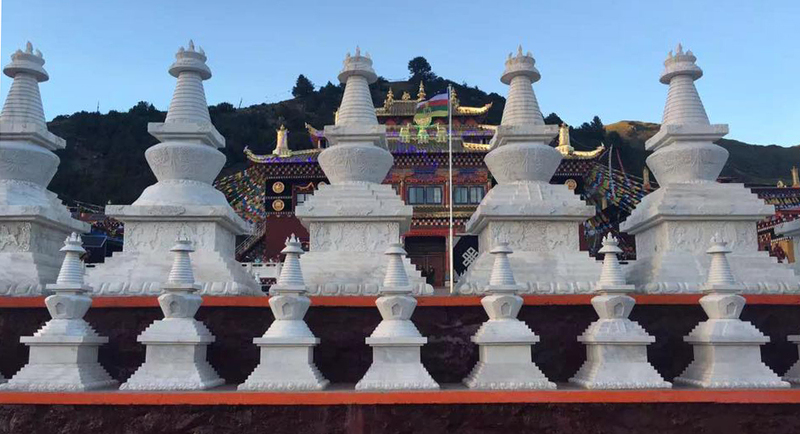 The Land of Blissful Liberation and Unshakeable Bön Meditation was founded by Kunga Namgyal and, although the founding date is uncertain, the history of the monastery records seventeen subsequent generations to the present. Although the monastery was destroyed during the cultural revolution that began in 1959, beginning in the 1980’s it was rebuilt by the senior monks. The mountain directly behind the monastery is called Tsang Chen and is believed to be the home of the local deity. 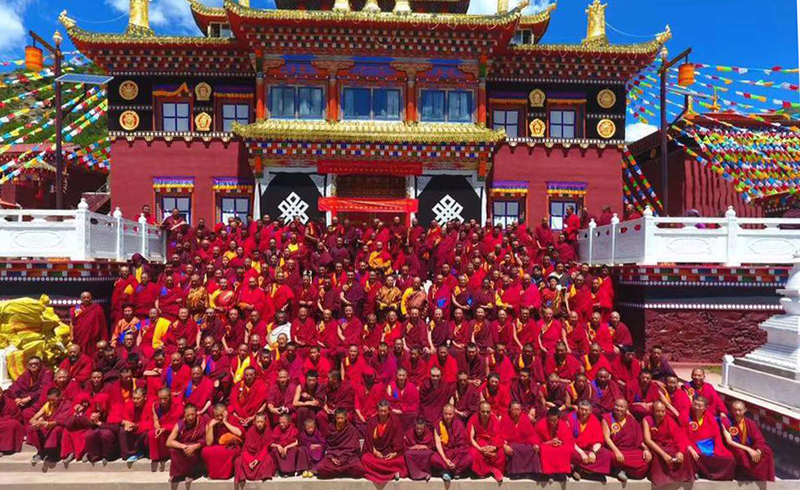 In 2016, the monastery hosted the 5th Conference on Upholding and Preserving the Teachings of the Yungdrung Bön. A number of prominent Yungdrung Bön scholars gave presentations at the conference and there were also rituals and ceremonies to mark the special occasion. Posted on October 9, 2016, in Pilgrimage, Tibetan Culture & History, Uncategorized, Yungdrung Bon Monasteries. Bookmark the permalink. Leave a comment.